After a few years' baby-induced hiatus, Burns Night is back! 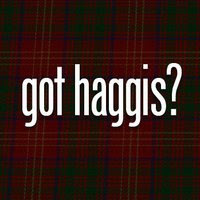 The Burns Supper has been a Scottish tradition since 1796 that we woefully adopted as our own in 2000. It’s a night when Scots and scottophiles worldwide celebrate the birthday of Scotland’s national bard, Robert Burns (Rabbie Burns, to you and me), born January 25, 1759, and enjoy the company of good friends, traditional fare, and delicious scotch. For the last 11 years (ignoring the years off) our Burns Suppers have been part bacchanalia, part poetry reading come together—an evening replete with questionable Scottish cooking, bawdy Scottish poetry and toasts galore, clumsy Scottish accents, and a few too many drams of Scotch. But this year we decided to mix up the format and the menu—abandoning the traditional fare and dinner party format for an updated, casual affair. Let us know if you try any of these recipes—they're fantastic! It is good to know traditions in families still exist. Those dishes sound really tasty especially the pizza one.